HOW TO DO LAUNDRY THE RIGHT WAY! It’s the chore everyone hates: laundry. 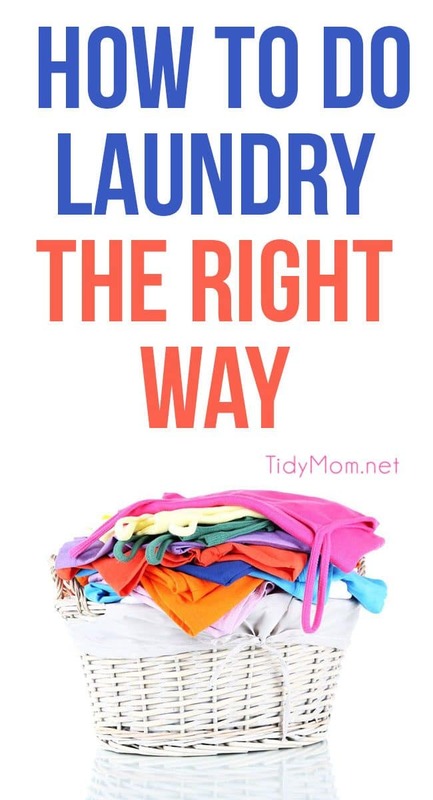 But, if you do laundry the right way, you’ll not only save money and time but you’ll have less laundry stress as well. 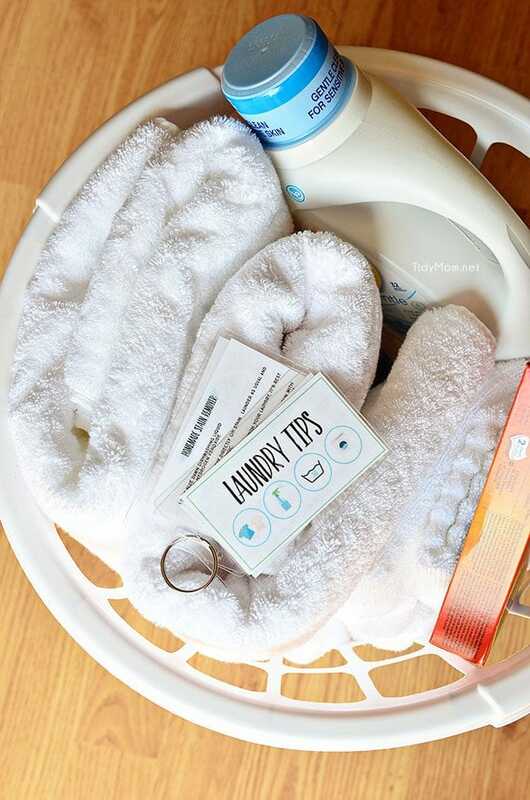 Here are a few of my favorite savvy laundry tips that will make your least-fave chore easier and clothes looking their best. 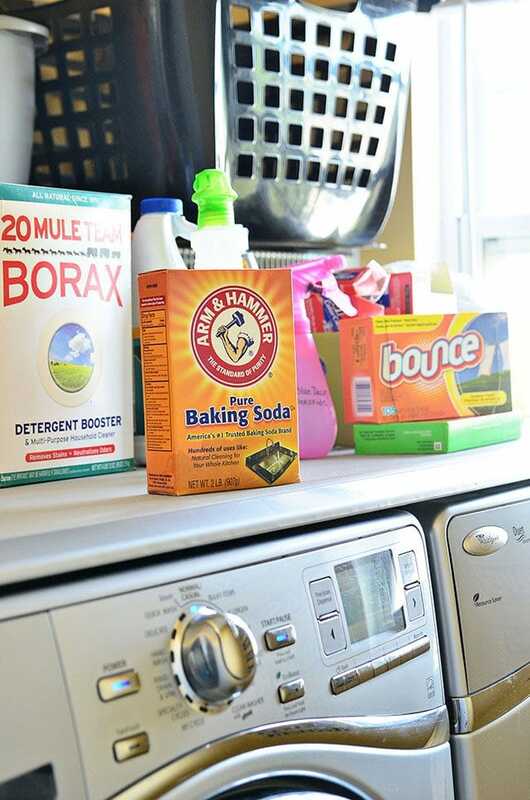 While baking soda is more often known for its odor control qualities, it does have natural whitening capabilities that are used by people who would rather not turn to bleach. The best thing about baking soda in the laundry is its ability to act as a natural boosting agent for bleach. Use 1/2 a cup of bleach and 1/2 cup of baking soda for white loads, instead of a full cup of bleach. The baking soda masks some of the bleach smell and makes the bleach even more effective. Once a stain has been dried, it’s very hard to remove, but it is possible. Try repeating the steps for the individual stain. 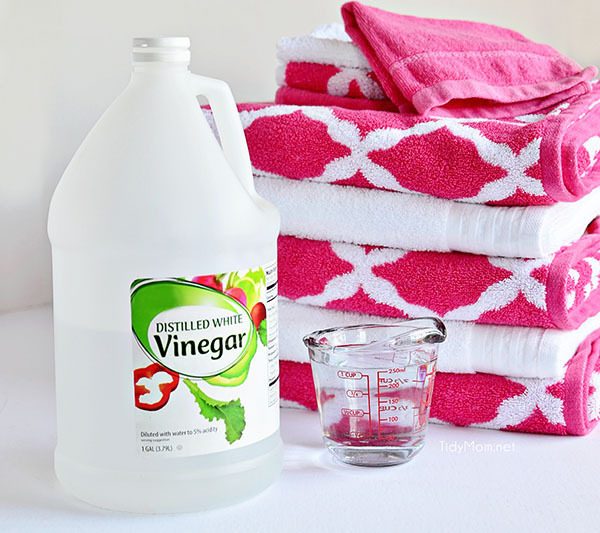 More than likely you’ll need to soak the stain or use this DIY miracle cleaner stain remover. On white clothes, try using lemon juice and placing the garment in the sun. Both the lemon juice and the sun will work as bleaching agents. Be sure to rinse the clothing thoroughly before rewashing. White fabrics can become yellowed or grayed and dingy. For gray and dingy whites try the triple soak. First, soak the whites in a solution of a bucketful of water and 2 tablespoons of liquid dish soap. Next, rinse out the whites and soak in a solution of 2 tablespoons of ammonia and a bucketful of water. Lastly, rinse out the whites, and soak in a bucket of warm water and 2 tablespoons of vinegar. Rinse thoroughly and dry. This soaking method will leave your whites bright and clean. Did you forget about the clothes in the washer and now they have a sour smell? If the clothes smell but don’t have lots of mildew, you can simply rewash be sure to add bleach for whites, or color-safe bleach for colors. Follow my steps to remove musty mildew smell from towels. If you do have mildew stains, washing with chlorine bleach will remove the stains from white clothing. For colored clothing use a mixture of color-safe oxygen bleach (1 teaspoon), and hydrogen peroxide (1 cup) to sponge the stained areas before rinsing thoroughly and rewashing. Clothes may also benefit from soaking in a borax solution. Add 1/2 cup of salt to the wash cycle to prevent new colored fabrics from running. 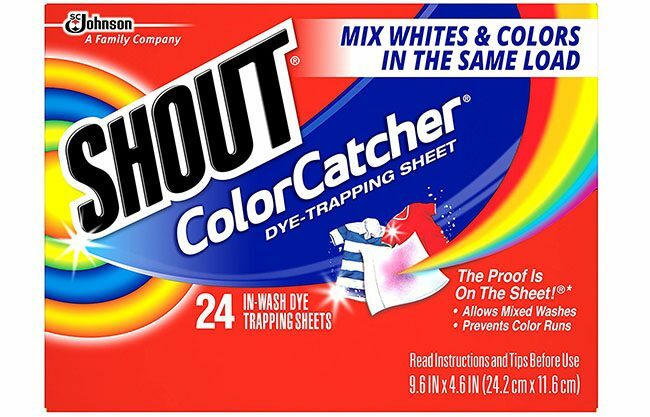 Or, you can toss a Shout Color Catcher in the washer. 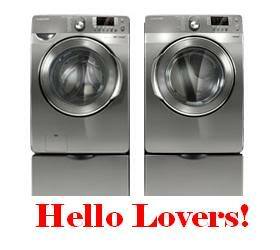 It’s one of my favorite laundry products! Tip: A sheet can be used multiple times. It sounds like I might want to go see if I can find that recipe. Vinegar can also help with the moldy smells and stains. thanks for the tips !!!!!!!!!!!! good luck with the Samsung ! I love my Samsung fridge ! !